Cambeltown was the whiskycapital in UK in the early 20th-century with about 37 distilleries bringing home loads of money to the area. But as almost all good things it came to and end. The American prohibition was a big reason that only 2 distilleries survived. Glen Scotia and Springbank. The distillery has been up and running since 1828 in Cambeltown, located on the Kintyre peninsula. 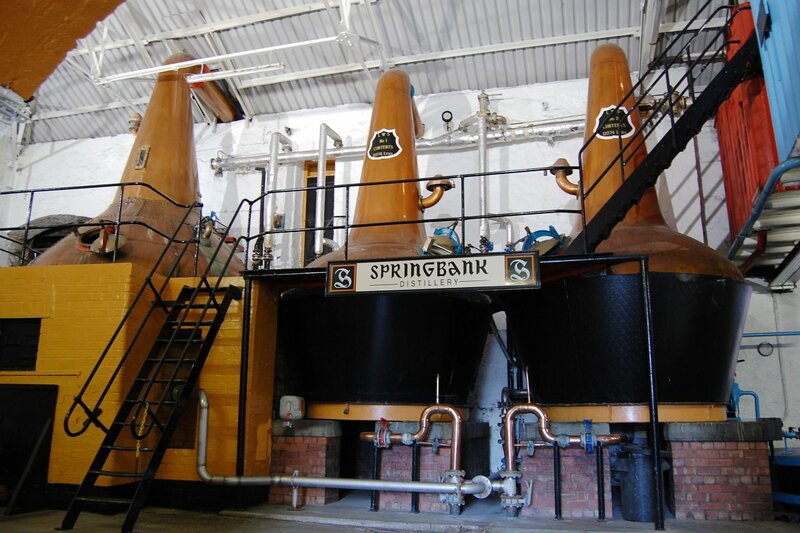 Springbank is a classic whisky-distillery that almost everyone has heard of. They also make two other brands of malt whisky – Longrow which is quite peated and Hazelburn which is unpeated. I had the opportunity to meet Frank McHardy, a man with over 50 yrs in the business and the representative of Springbank when I was working at my first whiskyfair. I was nervous and he helped me out. A very nice and good looking man so he nicked a piece of my heart. I like it when someone who has so much knowledge and experience still can be so humble! My Impression of Springbank was good but since I had not tasted much of the range I grabbed the opportunity to get my hands on some samples. What I will give you is a “over all” impression of Springbank – based on following lineup: CV, 10 yo, 12 yo, 15 yo, 18 yo, Gaja Barolo Wood Expression, Calvados Wood Expression. I find the house style of Springbank sweet, fullbodied, and malty with an underlying tone of peatsmoke. You can find vanilla and fruit in all of them but I find the 10 yo more salty and less fruity than the others. The 12 yo which is cask strenght has a some liquorice/chilli sting but that might come from the high ABV. This time I rated the 15 yo as the best with the roundness of the body carrying all different tastes like rum raisins, fruit cocktail, wine and sweetness. It was followed by the Gaja Barolo woodfinish that was almost as fullbodied but only 9 yrs old. The most exciting one was the Calvados wood Finish. The w hisky spent 6 years in refill bourboncasks and then 6 years in Calvados casks from Christian Drouin. That makes me extra curious since I have tried many of Christian Drouins products and will spend a few days at the Coeur de Lion estate in Normandy this spring, to learn more about Calvados. It didn´t match the Gaja Barolo last night but when I got to try a sample of it today it was so much more….. Came to the conclusion with some friends who also got their hands on this rare bottle that it need some air to come to its full potential!!!! 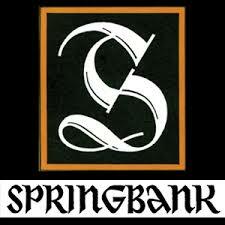 I think Springbank will be a distillery I will keep a closer eye on from now on. I did really enjoy the Hazelburn Sauternes Wood Finish and the” Smuggle Whisky bottlings” Rundlets and Kilderkins. So yes, Springbank is a distillery worth to taste and follow. And that it is family owned and make their whisky as they always had – some say the Springbank distillery is a functional museum – doesn´t make it less interesting. A new distillery opened in Cambeltown in 2004. Its called Glengyle and their single malt is called Kilkerran.There will never be 37 distilleries in Cambeltown again but now there are 3 and Cambeltown is a whiskyregion to count with again.